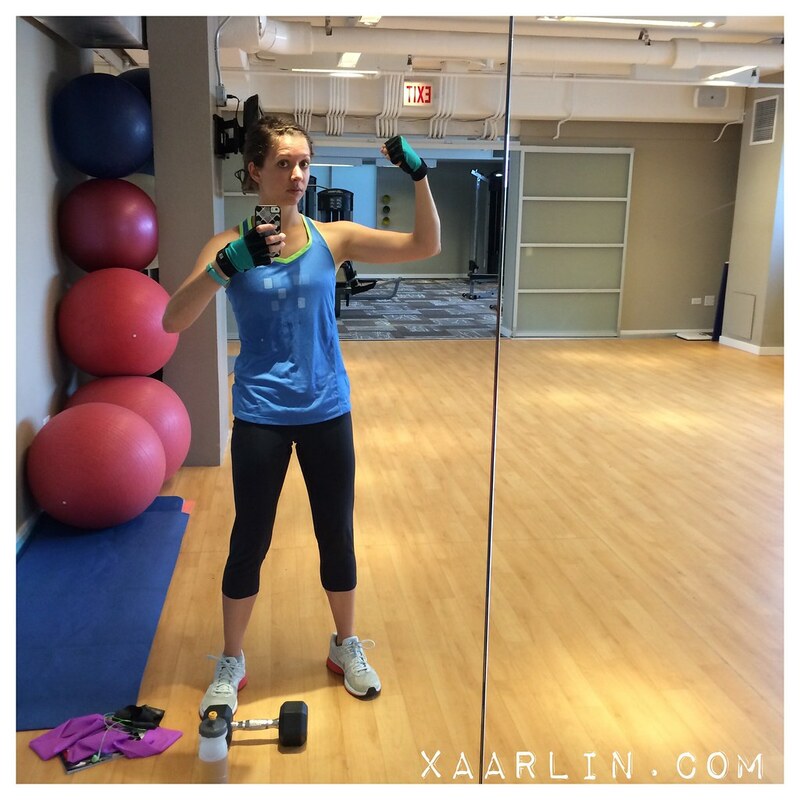 Xaarlin: I graduated from PT!!! 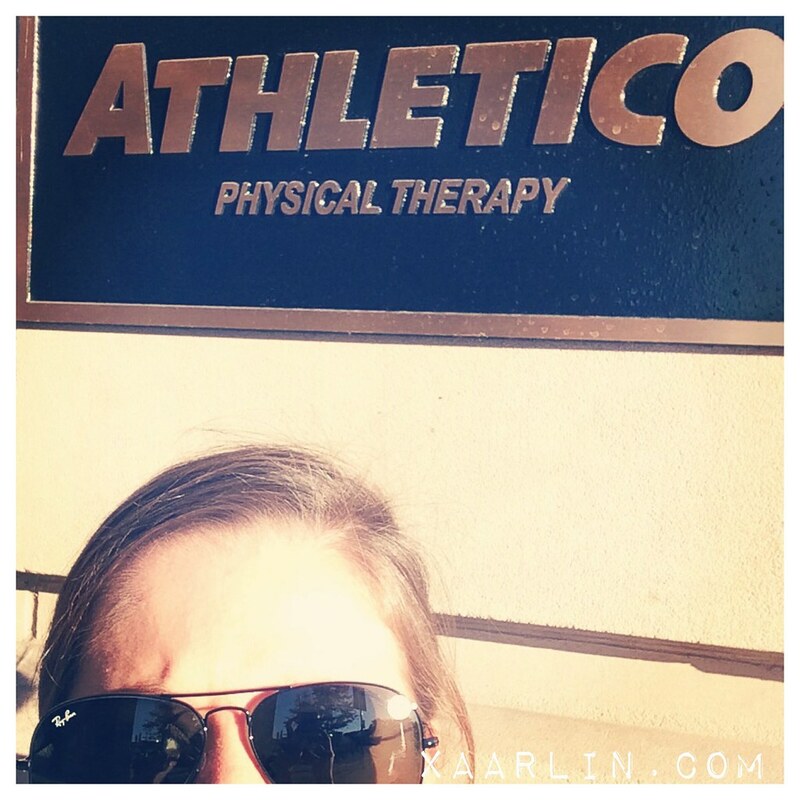 Today I graduated from Physical Therapy at Athletico. I had been going 2x a week for 4.5 months! During that time I realized many things. First and foremost: if your hips are weak, (and you're not doing anything to strengthen them) it is only a matter of time before something breaks down- whether it be your ankle, Achilles, or knee. Trust me. You will break down sooner than later. You will probably not display any hip issues- but you can rest assured your ITB, your calf pain, etx is almost certainly related to your weak hips and core. If you take time off running, like a significant amount of time, (at least 4 weeks so you can "forget" some of your bad bio mechanics), and during that time- strengthen your core and hips, the next time you run you will feel balanced and powerful with less effort. But remember that it will take a while to unlearn all the bad bio mechanics from decades of use. 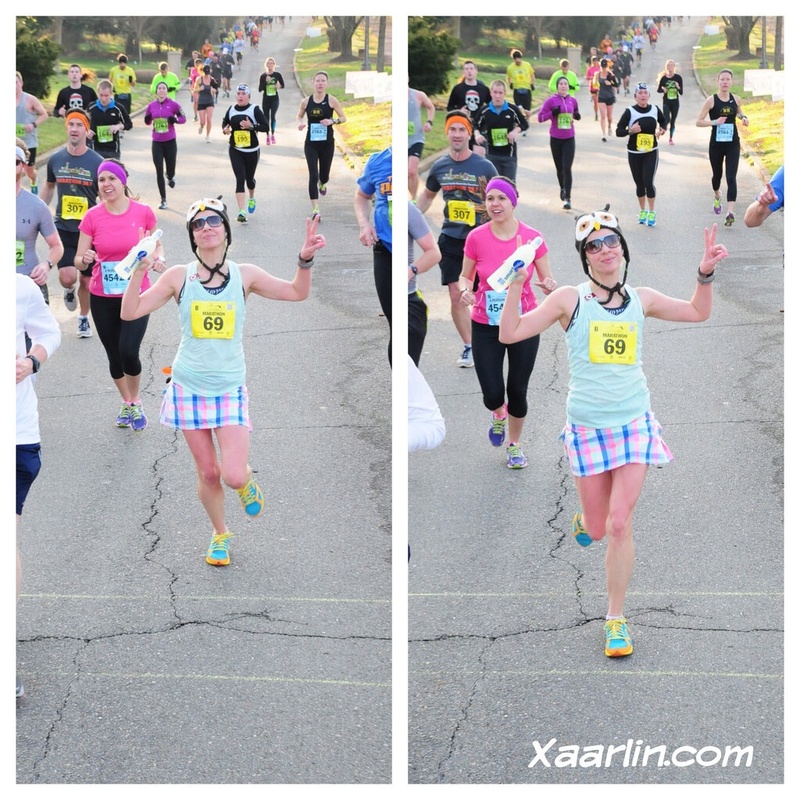 The photo above was from when I ran the Knoxville marathon- about a month before my peroneal tendinosis returned. Look how janky my stride is. Look at all that excess movement. Look how my hips are not straight. Look how unbalanced I am. And this was early on in the race before I became truly fatigued. So when the tendinosis came back a 2nd time I had to make a very important decision. Would I pursue PT to attempt to work out what was causing chronic issues on my right leg, or would I just give up on running? I like goals and crushing them. But, I hate being injured. I've been stagnant time wise in my last few marathons because I was always starting from scratch after coming off an injury layoff. At what point do I move onto other activities that don't cause me physical harm? Maybe running isn't for me? I decided for the benefit of my long term health to start going to PT. I know chronic bouts of tendinosis can lead to greater problems down the road including surgery. And that is a road I didn't want to travel down ever. So as a last ditch effort to save my running hobby and most importantly- for my long term health, I started going to PT. I made it very clear in the beginning I wasn't there for a temporary fix so I could run a marathon in a few months, but instead was there looking for a long term solution to fix the issues that only happen my right side FOR GOOD. My PT, Kim and I clicked right away. She is clearly knowledgable and also fit my ideals for treatment. No orthotics, no shoe inserts, no changing shoes. I was the one that needed the fixing. 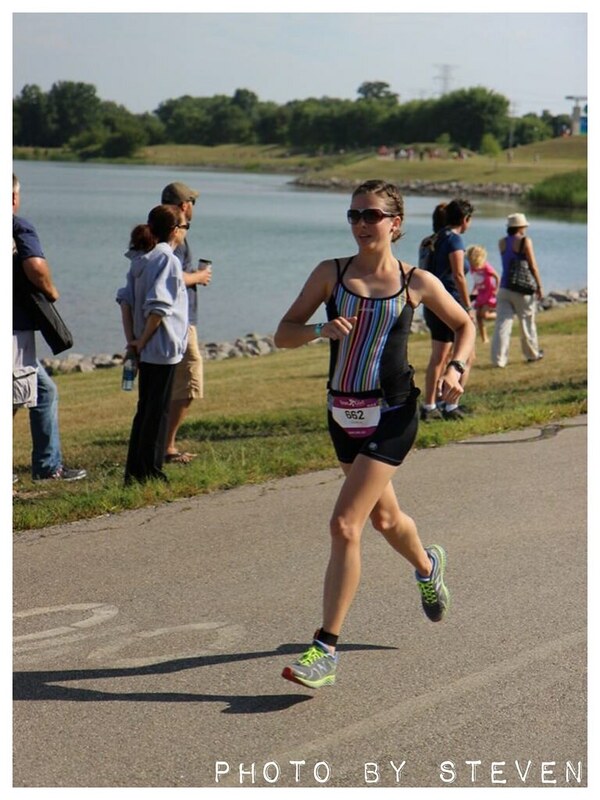 2 months into PT and my form was already improving- IronGirl Triathlon. I started with very basic, easy exercises which made my hips burn and as the weeks and months progressed, the exercises got tweaked to make them more and more difficult. It is amazing to see the progress I've made. I now have quite the arsenal of hip/core strengthening exercises to do at home. Which I do 4-6 times a week. Most recently I took 4 weeks off running to give my Cankle a final reset to let it calm the eff down. (We were splitting hairs at this point- I had no pain- only very minor discomfort when I poked at a very specific spot) when I ran for the first time on Sunday, I felt powerful and balanced. I never noticed feeling janky before, but after taking a month off and "forgetting" some of the bad muscle memory, it was like night and day. From yesterday's run- solid as a freaking rock, hips level, no more (or at least waaaay less) left leg kick out. I'm excited to gradually build back some mileage. I'm excited that I can start thinking of long term running goals again. But at the same time I have a good balance between life and my running hobby which I won't forget. Me and my chicken wings hamming it up in the gym. Seeing the progress I've made with PT also made me start strength training- especially my scrawny little chicken wings. I've been upping the weights over the months and marveling at the progress I've made with strength too. 8% increase in ankle movement when winging my foot out. 15% increase in flexed foot movement. Ridiculous amount of hip strength- where at my first visit, Kim pushed my leg to the table, Monday my leg held firm and did not budge when being pushed towards the table. I'm encouraged by all of these improvements and will continue to do 30 minutes of these exercises 4-6 times a week so that I do not lose the benefit of all the money and time I put into Physical Therapy and my long term health. My current plan is to continue walk/running for the next 2 weeks- taking at a minimum 2 days off between runs and then gradually getting to short runs. I'll also continue cycling and using the elliptical. I'm in no rush to run fast or far again. My only goal is to remain healthy. I am confident I made the right decision to go to physical therapy for my right leg issues. I would love for you to share some of your favorite / most beneficial hip exercises. I, too, have leg and foot issues that stem from my hips. 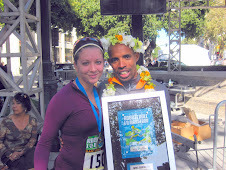 After the marathon this weekend, I plan to reset and focus on strength / balance during the winter! This winter will be perfect for your reset and hip/core strengthening. I hope the marathon goes well for you! And besides the hips, runners can have huge imbalances in their quads, too! If you are always in pain, get it checked out, peeps! Congrats! It's good to be done with PT! I would second Autumn's request - what are your key hip strengthening exercises? Thank you :) I'll attempt a post with my fav/best exercises soon while it's still fresh in my mind. Yay!!! Glad to hear things are going so well!! So very happy for you! Kudos to you for taking time to totally rehab your stride and strengthen those hips. I'll miss seeing you spectating but I'd much rather have you running! Congrats on graduating! You're so smart for taking some time off and figuring out your imbalances. You're going to be a much stronger runner because of it! That's soooooo awesome!! Congrats!! I'm about to be fired from PT, no way I'll EVER graduate! LOL! I read this super early this morning before I ran, and I gotta say, I was beaming like a crazy cat from ear-to-ear for you. I like many things about you, but one of the things I like a whole bunch is that you're really effin smart and take such a healthy, long-term look at your running career. Taking care of right side business surely was frustrating for you, but dayyyyyyyum. Pictures speak for themselves. So proud of you. Best. News. Ever. Can't wait to see you back on the courses...that of course, means I need to start running again too! LOL! 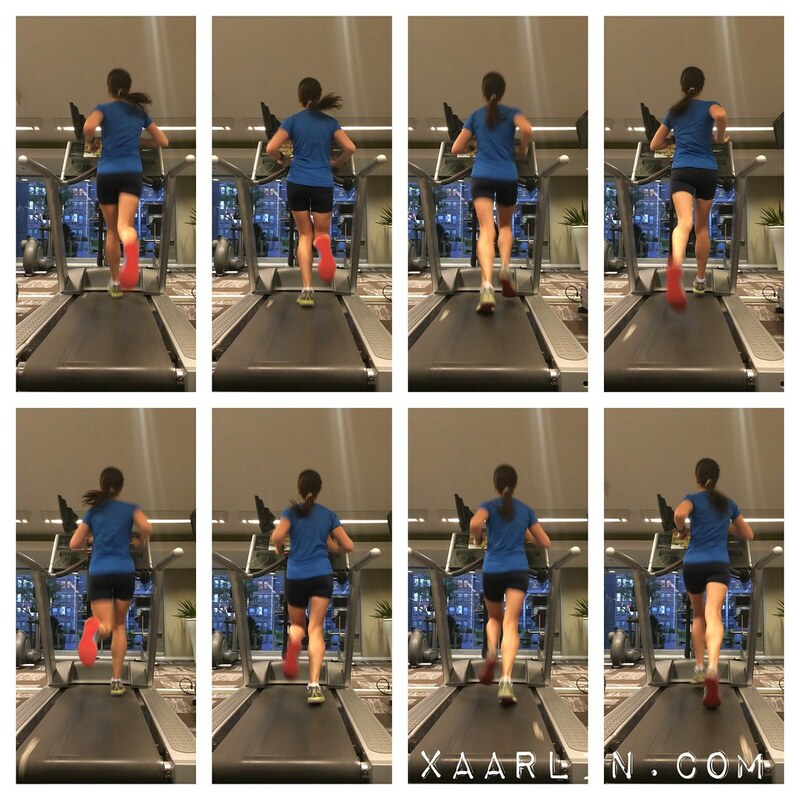 I remember reading your blog post back when you first started going to PT and taking some time off running and thinking kudos to you for taking the steps your body needs to recover and not continuing to keep running on it. So it is awesome to read this now that it has paid off! The fact that you can actually see the difference in your form from the marathon picture to the treadmill picture is amazing. I'm looking forward to your post on hip strengthening exercises! Now that the Ironman is over I really want to focus more on strength so I can be stronger and run faster!